Join and build your Wall! 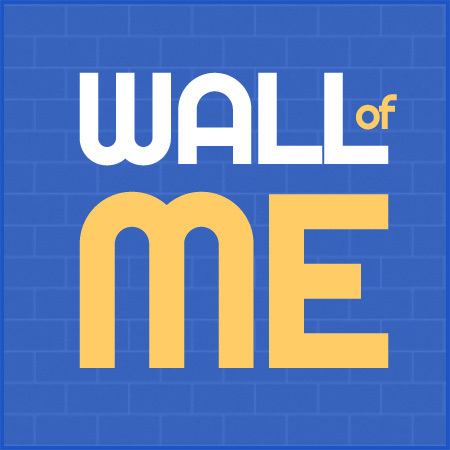 What is Wall of Me? Join us on Facebook... and more! 1) What is Wall of Me? App.Net: Get instant access to hundreds of great social apps. In order to discourage bad use of this service, we started (since 23.3.2016) to calculate the quality of each Wall. Walls with a low quality are penalized (currently: displaying a little ad banner). Any Wall's quality is computed by an automatic algorithm. don't leave your Wall empty. Walls with only empty blocks, or with few used blocks, will be ranked as low quality. don't use too many "Personal web" blocks. If percentage of "Personal web" blocks is too high, quality rate is lower. Don't use a "Personal web" block to link to a supported social network (like Facebook, Instagram, etc.). use your social blocks! empty blocks are not useful for your Wall's quality. Link your blocks to many social networks, and your quality will increase easily! If your Wall's quality is high, you will be listed first in the specific Wall's listing By Quality! If your Wall is empty or has a low quality rank, an AD banner will be displayed over it. Increase your quality to remove the ads! It's important that you log in to your Wall and customize it. To log in, you must remember your user name (the one you choosed when you subscribed) and your password. If you don't remember your password, follow this link: http://wallof.me/user/password to receive a new one. If you don't remember the username you choosed, just use your email address in that form, we will send you a link to set up a new password. Here is some useful suggestion. Don't remember how to use Wallof.me? Just check the Quickstart guide! Want to know more? Take your time and read our Intergalactic guide! You can "follow" people. When you visit a profile, just click on "Follow this user" in the page's footer. The other user will be notified via email! You can also find two tabs in your personal panel, "Users you follow" and "Users following you". And using the "What's new" link in the footer, you can easily see the new blocks of every user. Finallym when somebody starts following you, you will also receive a notification via email. Customize your country: remember to customize your country, so you can be listed in the ByCountry List! 6) Join us on Facebook.. and more! And, the last but not the least... Happy New Year to everybody! Thanks for being part of Wallof.me's community!